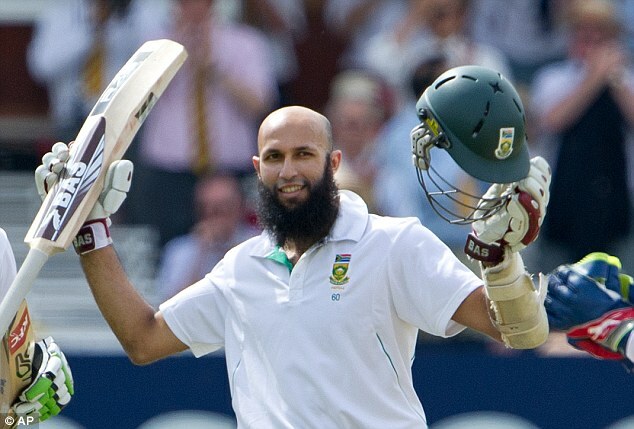 Star batsman Hashim Amla is South Africa’s new Test captain after it was confirmed he will succeed Graeme Smith. The 31-year-old, who recently replaced the injured Smith for a short spell at Surrey, is the fifth permanent skipper of the Proteas following Kepler Wessels, Hansie Cronje, Shaun Pollock and Smith – who announced his international retirement in March. 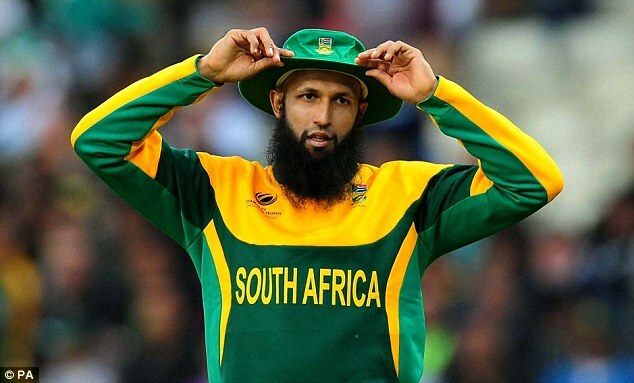 Amla will lead the side in a two-match series in Sri Lanka next month with fellow batsman AB de Villiers, skipper of the one-day side, as his vice-captain. 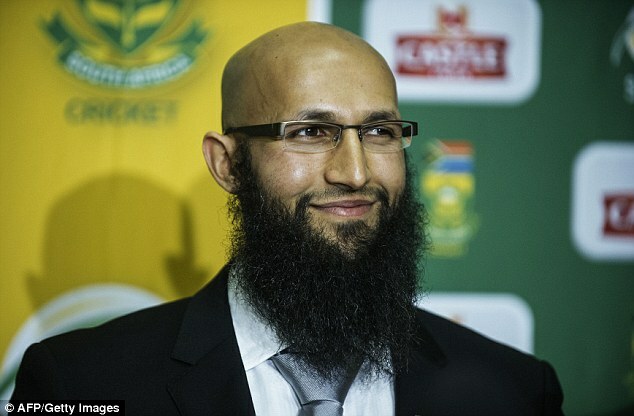 ‘It is an honour and a privilege to be given this responsibility,’ said Amla. 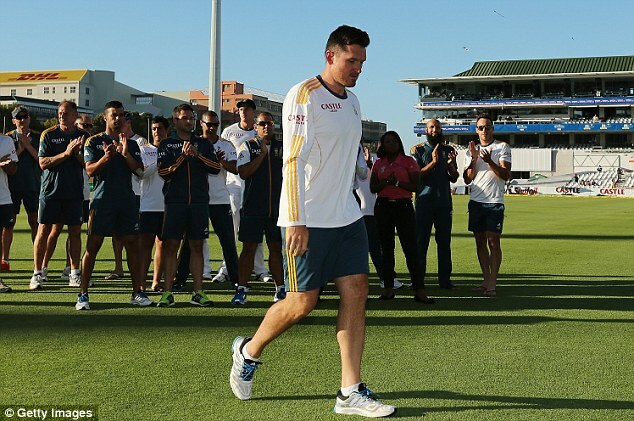 ‘I would like to pay tribute to the leadership Graeme Smith has provided throughout my international career. ‘This is an exciting challenge but one that I take on with positivity with our Test team being in exceptionally good space at the moment with the support of a strong core of senior players. 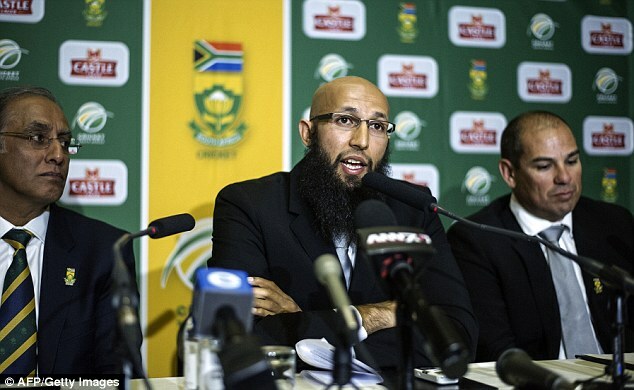 Cricket South Africa’s chief executive Haroon Lorgat said he hoped the appointment of Amla would bring some much-needed stability to the world’s second-ranked side after the retirements of a number of senior players. ‘It is a reflection of the excellence and standing of our senior players that there was more than one quality candidate to consider for this most important leadership position,’ he said. ‘Hashim is universally respected, both in South Africa and around the cricketing world, not only for his quality as a player which has seen him ranked among the best batsmen in the world in both Test and ODI cricket, but also for his personal qualities. ‘He has shown his steel in playing in the key number three batting position, one which he took over from Jacques Kallis with great success. ‘The manner in which he has adapted his game to suit the different forms of cricket speaks volumes for his skills to react to changing circumstances. ‘He has earned particular respect as a role model for his humility and his upholding of the best traditions and spirit of the game. ‘Becoming captain is a natural progression for his outstanding career and we are indeed fortunate to have a leader of his quality. Former skipper Smith was quick to give his support to the new South Africa captain. Smith wrote on Twitter: ‘Just landed in Jhb to news of @amlahash congrats my bud and excited to watch you shape proteas test future’.